Bandai Namco has announced that action RPG God Eater 3 is coming to Nintendo Switch. The game will be released for the console in North America and Europe on July 12, 2019, with Japan receiving the Switch version a day earlier. Those who pre-order the game will receive two exclusive costumes based on Yuri and Estelle from Tales of Vesperia. 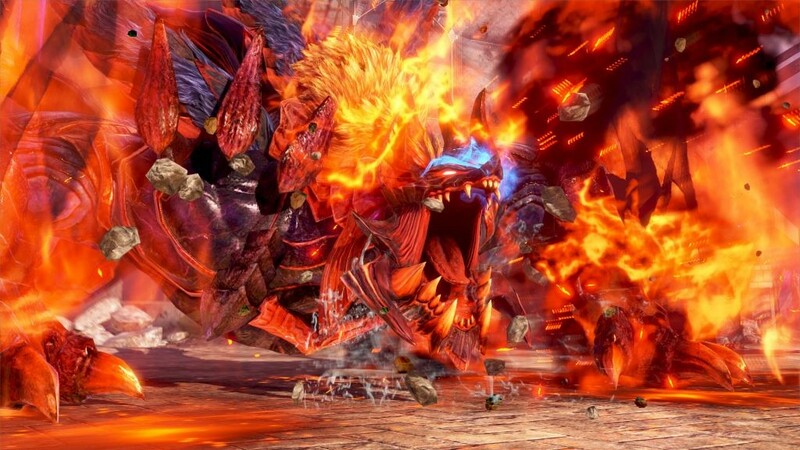 In addition, Bandai Namco also provided details on God Eater 3‘s version 1.30 update, which is coming soon to PlayStation 4 and PC versions of the game. The update will add new post-game story content as the player helps develop a new business opportunity. The update will add Keith and Neal as selectable AI partners during missions. It will also add two new Aragami — Ameno Havakiri and Ash Anubis — as well as new skills and costumes. A trailer for the upcoming 1.30 update can be viewed below along with the Nintendo Switch version’s announcement trailer. God Eater 3 is the third mainline title in the series, which sees players controlling the eponymous fighters as they take on monstrous beings called Aragami that have laid waste to human civilisation. The game includes solo play as well as online multiplayer with regular missions for up to four players and special Assault missions for up to eight players, and is currently available for PlayStation 4 and PC. Those looking to read more about God Eater 3 can check out RPGamer’s review.